Hey, remember when Optimus Prime died? That was fun. You know I am not necessarily the hugest fan of Transformers: Age of Extinction. But if I get the chance to interview Peter Cullen—the Once and Future Optimus Prime, who voiced the leader of the Autobots in the original cartoon, the ’80s animated movie, the Bayformeres movies, everything—for the DVD/Blu-ray release of Transformers: Age of Extinction, it’s not like I’m going to say no. And getting to interview stunt driver Sli Lewis and drive a legit Lamborghini on a legit racing track? Well, that’s just icing on the Peter Cullen cake. The man’s also the voice of Eeyore, for God’s sake. 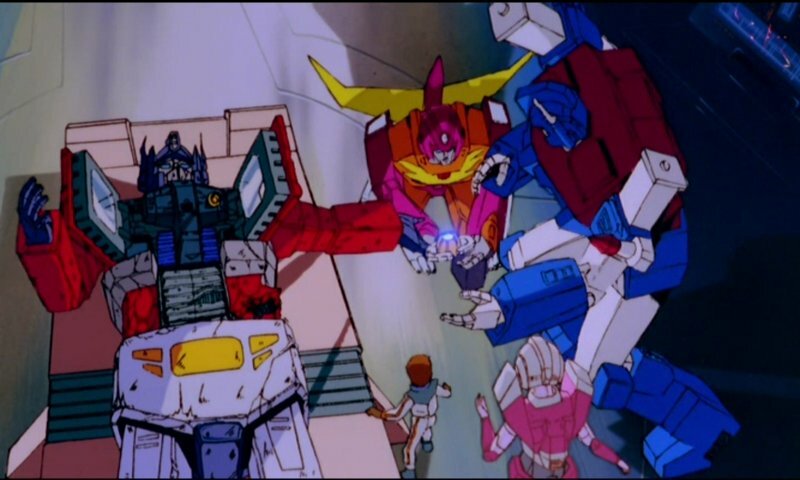 That “movie that killed your childhood,” by the by, is 1986’s The Transformers: The Movie, which took the bold step of killing Optimus not long into the film, because ’80s movies just did not give a hoot about whether or not they were traumatizing children. As for stuntman Sli Lewis, he was instrumental in bringing to life the latest film’s very solid chase sequences. Hey, Bay knows from action scenes and special effects. Lewis relished the chance to “driv[e] Autobots and [work] with Bumblebee and Optimus Prime,” and hey, who wouldn’t? It’s an inner child thing. Also epic: My experience trying out car racing my very own self. If by “epic” you mean “holy crap, I didn’t die.” Hey, I live in New York. I can drive, but I don’t drive. The full videos have a lot more cursing. You don’t get to see them. This was fun. Transformers: Age of Extinction comes out on Blu-ray and DVD Tuesday, September 30th.